Stated differently, it’s not that Republican administrations spur religious awakenings or revivals but that both ride the same wave. On the other hand, Democratic administrations favor values and goals of “non-religious” Americans. As a consequence, the influence of “very religious” Americans, including the Unification movement, tends to recede. This article will flesh out this thesis by garnering evidence from the past eight presidential administrations. It concludes by considering the incoming Trump administration, with particular reference to the Unification movement. 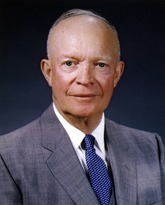 The Unification Church’s first missionaries entered the U.S. at the tail end of the Eisenhower administration. Therefore, evidence is lacking as to whether the Unification movement would have flourished in America during the 1950s. 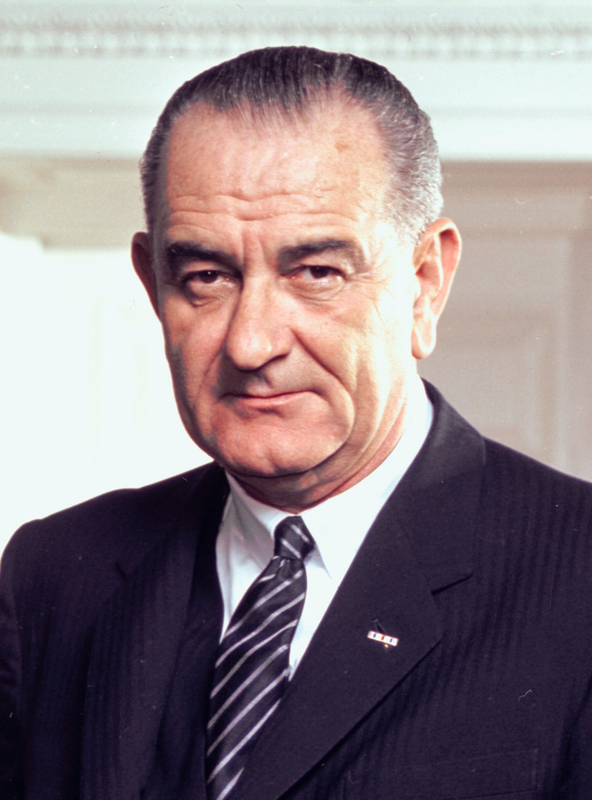 However, it’s worth noting that Reverend Moon regarded the post-World War II era as a unique time in human history when Christianity, centered on the U.S., was poised to “redeem the world.” He clearly intended to undertake work in America during this period but was unable to do so due to the partition of Korea, the Korean War, and other setbacks to his fledgling movement in his homeland. T he 1960s could not have been more different than the 1950s. Historians recall it as a turbulent, revolutionary era that questioned the legitimacy of American institutions and values, including religious values. 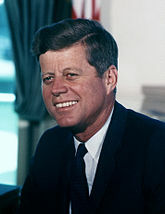 Kennedy won the presidency in large measure because he assured the public that his Catholic faith would not dictate his political decisions. Both his “New Frontier” and Johnson’s “Great Society” advanced secular solutions to social problems. The counterculture flouted sexual norms and radical theologians touted the “Death of God.” Prayer was banished from public school and mainstream denominations, many for the first time, registered membership declines. This environment was not conducive to the growth of the Unification movement. Youth, in particular, were more drawn to political activism, particularly anti-Vietnam War protests. To be sure, the movement was saddled with a number of developmental tasks in transplanting itself from the Far East to the West. Texts required translation and patterns of community life needed to be established. Still, Unificationism was met with what two sociologists of religion described as “overwhelming indifference.” By the end of the decade, the movement had grown to less than 300 members. The same sociologists concluded that Unificationism only survived due to the “dogged dedication” of its early members. The election of Richard Nixon signaled a shift in American consciousness from the radicalism of the 1960s to the conservatism of the 1970s. 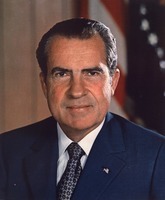 Nixon, himself, appealed to “the great silent majority” who felt threatened by attacks on American values and institutions. The Nixon-Ford years also marked a return to religion. Data showed that while liberal, mainline denominations were in decline, conservative churches were growing. At the same time, youth who were disillusioned with the political activism and decadence of the 1960s created a pool of spiritual seekers. They swelled the ranks of new religious movements (NRMs) that proliferated during the period. The Carter administration was a study in contradictions. 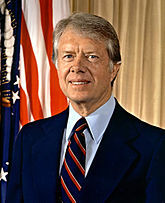 Carter, himself, was a professed, born-again Christian and is credited with moving evangelical Christianity closer to the American mainstream. At the same time, his administration supported causes that conservative Christians considered threats to the family and traditional values, i.e., the Equal Rights Amendment (ERA), abortion, and gay rights. Evangelical conservatives also blamed Carter for the Panama Canal “give-away,” the Soviet invasion of Afghanistan and the Iran hostage crisis. In the end, the Carter administration was undermined by opposition from the Right and Left. The Unification movement did not fare well during the Carter years. Following the victorious 1976 Washington Monument rally, Rev. Moon expected the American movement to increase its membership to 30,000 and spearhead a “march on Moscow” by 1981. Instead, kidnappings and “deprogramming” of members continued, sometimes sanctioned by court order, and the movement found itself increasingly on the defensive, caught up in government investigations and legal battles. This blunted the movement’s advance and led to what Rev. Moon described as a “prolongation” of the providence. The “Religious Right” emerged as a force in American politics during the Reagan-Bush years. 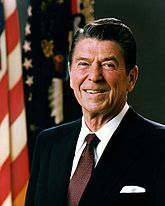 Reagan struck an explicitly religious note in his nomination acceptance speech by calling for a moment of “silent prayer.” In Dallas, he told an assemblage of 15,000 Christian activists, “I know you can’t endorse me, but . . . 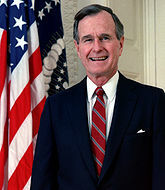 I want you to know that I endorse you.” Even George H.W. Bush, suspect among evangelicals, had a “come-to-Jesus” moment and professed himself “born again.” Critics claimed Republican piety was long on symbolism and short on substance. Still, religious conservatives won a place at the table and were shaping public discourse. In addition, the “Religious Right,” including Rev. Falwell’s “Moral Majority,” expanded to include Roman Catholics as well as politically conservative mainline Protestants, Jews, and Mormons. The Unification movement meshed well with the Reagan Revolution and attained prominence that would have been unimaginable a decade previously. The Washington Times (begun in 1982) was reportedly “the newspaper of choice” in the Reagan White House and exerted a very real influence, becoming within three years the third most quoted newspaper in America. Even Rev. Moon’s conviction and incarceration on tax charges, initiated during the Carter years, had a positive outcome as 40 individuals and organizations, representing 120 million Americans, filed briefs in his defense. The collapse of the Soviet Empire further validated the movement’s public advocacy. Though membership lagged, at least in the U.S., Rev. Moon began speaking more explicitly of his and his wife’s historical role. The 1990s saw the outbreak of “culture wars,” i.e., conflict between traditionalist-conservative and progressive-liberal worldviews. 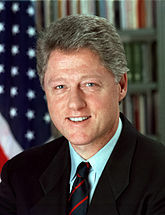 Clinton, like Carter, was a Southern Baptist but failed to connect with religious conservatives. They considered his faith disingenuous and launched an all-out assault against him under the rallying cry, “Character Counts.” A gifted politician, Clinton survived impeachment and, in fact, left office with an exceedingly high (65%) approval rating, higher than Reagan. In the end, economic prosperity trumped concerns over Clinton’s waywardness and his administration’s social agenda. At best, the contest between culture warriors in the 1990s was a draw. Religion came to the fore during the Bush II years. This was in large measure due to 9/11. Before and after that tragic event, evangelical Christians rallied behind George W. Bush whom they regarded as “one of us.” Bush, who beat a drinking problem by surrendering to a born-again epiphany, let it be known that Jesus was his “favorite philosopher,” that he read the Bible daily and prayed in the Oval Office. Prior to being consumed by the War on Terror, he championed “compassionate conservatism” and “faith-based initiatives” which funneled federal funds to religious charities. To his credit, Bush separated terrorism from the faith of Islam and was the first sitting president to visit a Muslim mosque. The Unification movement regained its footing during the first decade of the 21st century. The American Clergy Leadership Conference (ACLC), a committed core of ministers, actively supported movement initiatives, and Rev. Moon anticipated the pivotal role of religion in promoting peace by calling for “an interreligious assembly … or council within the United Nations.” The movement subsequently launched the Middle East Peace Initiative (MEPI) which brought more than 10,000 “Ambassadors of Peace” on “peace pilgrimages” to the Holy Land. During this era, Rev. Moon proclaimed Cheon Il Guk (“The Nation of Cosmic Peace and Unity”), considered to be the Unification equivalent of the Kingdom of God and culmination of his ministry. The Obama years were difficult for “very religious” Americans. Obama, himself, set the tone early by criticizing those who “cling to guns or religion.” According to the Pew Research Center, the percentage of adults describing themselves as Christian dropped nearly eight percentage points in just seven years, from 78.4% 2007 to 70.6% in 2014. Conversely, the number of Americans describing themselves as atheist, agnostic or “nothing in particular” jumped more than six points, from 16.1% to 22.8%. Religious “nones” became the fastest growing American religious demographic accounting for approximately 56 million religiously unaffiliated adults in the U.S., more numerous than either Catholics or mainline Protestants. The Unification movement went through unprecedented turmoil during the Obama years. The most obvious source of this was the passing of Rev. Moon in 2012. However, even prior to his passing, the movement was rocked by dissent and division. In 2009, Rev. Moon’s eldest living son gained control of major movement assets and broke from his father. After Rev. Moon’s passing, his youngest son turned on his mother and led a break-away group that advocated destruction of the existing movement. These intra-organizational dynamics were entirely foreign to the movement’s previous experience. To some extent, the ensuing polarization mirrored that of the wider society. Any comment as to the flourishing of “very religious” Americans under a Trump administration can only be conjecture. However, it is clear, despite forecasts to the contrary, that evangelical Christians voted overwhelmingly for Trump. 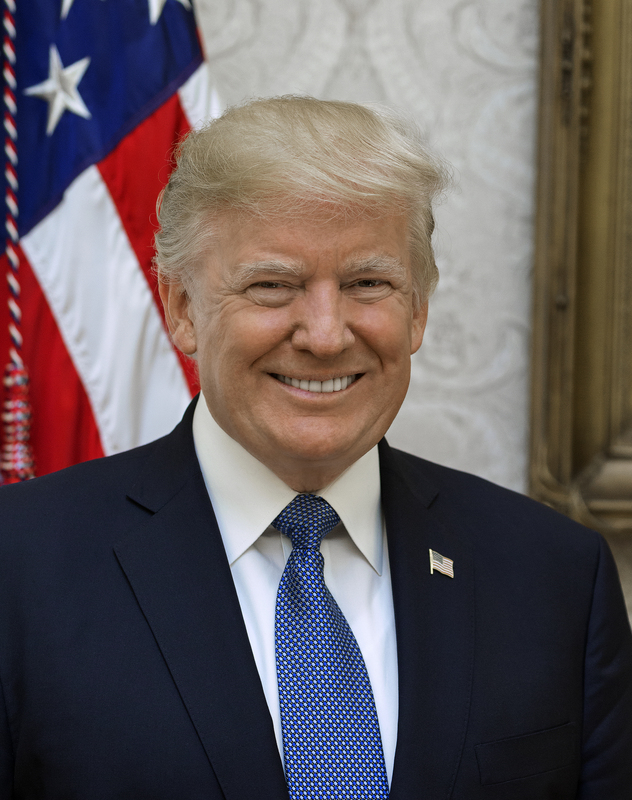 Politico reported Trump won the support of nearly every politically prominent Christian leader and won 81 percent of the evangelical vote, a higher percentage than George W. Bush. On the other hand, nearly seven-in-ten religious “nones” voted for Hillary Clinton. Past Republican administrations have courted evangelicals during election cycles and held them at arm’s length while governing. Whether the Trump administration and religious conservatives remain engaged will be important to watch. I remember as the Cold War was ending, our founder said something to the effect that now that the Cold War was over the next front that the Washington Times needed to focus on was the looming Culture War. I remember too that the Clinton administration was not enthralled with our movement in the ’90s primarily due to the Times’ editor-in-chief (Wes Pruden and staff) constantly bashing the president. I specifically remember political cartoons in the Times that depicted President Clinton in the most unflattering ways. The hard-right stance of the Times likely had something to do with the Clinton administrations’s “rebuff” as well. George W. Bush’s military action in Iraq was not what our founders had hoped for and was at odds with what our interfaith initiatives were trying to accomplish. Whichever political party is in power, the protection of civil liberties is a key issue, especially with regard to freedom of religion. 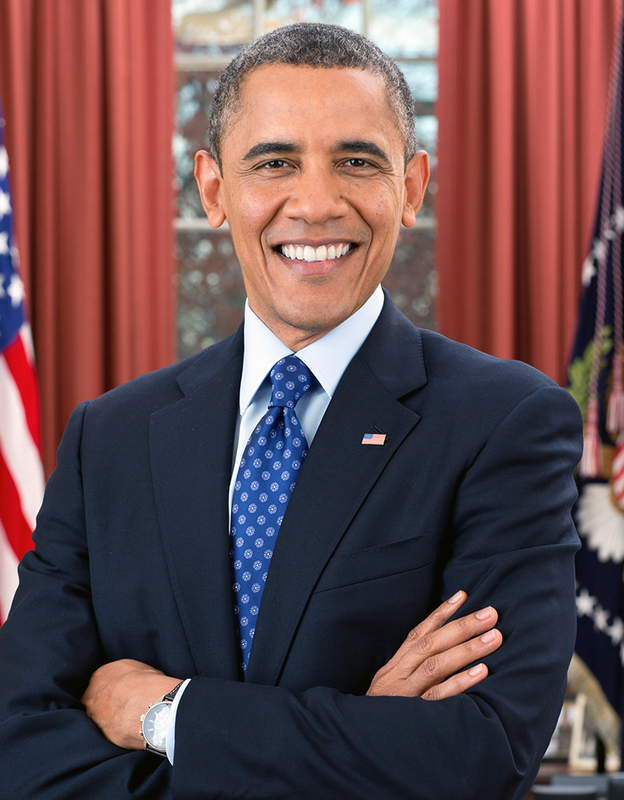 President Obama and his political base viewed government as a primary force in shaping people’s lives. This was certainly Mrs. Clinton’s view as well. Religion becomes subsidiary when too much government is in the equation. I was heartened to see six prayers offered by various faith leaders. This was a sign that the new administration seems to understand the spiritual foundation upon which this country was established. Getting back to that foundation, regardless of who’s in the White House, is necessary if our country is going to thrive for the sake of the providence. The pervasive influence of secular humanism in recent decades has had many deleterious effects. It’s time for a re-awakening to what Tocqueville considered essential. Nice overview, Mike. The religious fervor of the ’50s makes one wonder if that might not have been the (aborted?) start of the Third Great Awakening, for which I feel our country has been longing. In your overview, you can see how the American people have been so fickle, swinging back and forth every ten+ years…obviously searching. It’s reasonable to think that the inducement to swing back and forth like that was the use of (especially) the national government’s tendency to subvert that American longing to social engineering thru coercive government, which then alienated the country, who then turned to the other guy. Then back again. Trump’s (and Republicans’) task is to go forward in this vein without doing what all presidents (and previous Republicans) before him have done, but to genuinely revive the American traditions of freedom and limited government while getting out of the way of religious fervor while vigorously protecting Americans’ natural rights from the government’s temptation to subvert some folks’ rights for the benefit of other folks. This forms the true main engine for social improvement (as opposed to just secular or just religious solutions). It’s Freedom that Americans really want…and with a capital F. But they also want the “good life.” Because no one has known how to produce the one without sacrificing the other, Americans have been swinging back and forth, trying this and that only to encounter failure after failure. Divine Principle offers the clear path forward in this respect…except that it’s also presently mired in the same sinkhole. Mike, I think you successfully argued that the Unification Movement in America has flourished more under Republican administrations. I believe this is because the religious wing of the Republican Party promotes religious freedom and separation of church and state. Further, there are a large number of Democrats who believe that government is responsible for solving people’s individual problems, essentially making the government a false god and violating the First Commandment. We could call this a Cain and Abel-type division. Unificationism, however, promotes a headwing worldview that is not synonymous with either of these parties. In some ways, I see the rhetoric of Trump (and Bernie Sanders) as a rebuff of “the establishment” wings of both parties. I think that people are beginning to realize, at least subconsciously, that each party nurtures some values that are incomplete in themselves but the system of campaign finance and lobbying that gives power to special interests is preventing Washington from passing any laws that represent a holistic approach to government. Many Republicans were elected on the coattails of Trump, but his own rhetoric has been at odds with many of their own special interests. Whether he can accomplish much in this toxic environment is the big challenge. 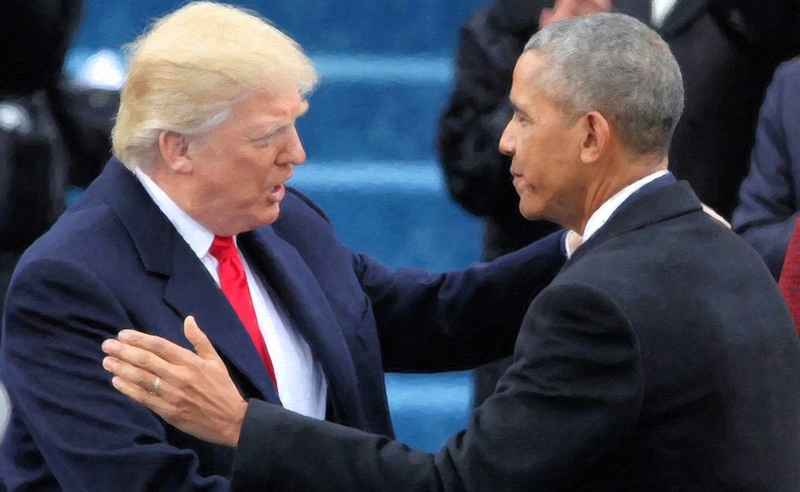 It is possible he may be able to expose selfish interests in both parties and cause some reform, but it is also likely that a new party that represents the well-being of the whole will be necessary and that Trump will act primarily as a symbol of people’s hope, as was Obama. Normally, I would say that the confusion of the Obama Administration would have made that a perfect time for religious growth. However, there is so much confusion within our movement that I cannot anticipate that growth actually occurring. Thank you for posing the question, “Does the Unification movement flourish more under Republican administrations?” With the arrival of True Parents in America in December 1971, the work of the Unification movement really began in earnest, virtually from scratch. After reading your article, if there is a conclusion that can be drawn from your historical narrative then the answer is inconclusive. There is little or no correlation between either Republican or Democratic executive administrations and the flourishing of the Unification movement. Needless to say, “flourishing” is a vague term. It is important to note that the Unification Church benefited from Constitutional principles, protection of freedoms and the right to the free exercise of bona-fide religious belief. Yet, the ebb and flow of American political change appears to be coincidental to the practical development of the Unification Church and its affiliated organizations. As we know the process of restoration, social integration and church growth was hindered by religious and political persecution. The Unification movement was shunned by orthodox Christianity. Government opposition culminated in trumped-up tax evasion charges and True Father’s subsequent imprisonment. The internal flourishing of the Unification movement lay strictly upon the fulfillment of our portion of responsibility — accomplishing conditions of indemnity through the process of reformation and transformative growth. I tend to agree with Robert Yee. I only see a very general or tangential relationship between federal governance and flourishing of the UC. Father leveraged the resources that were created in the ’60s and ’70s to “plant his flag” geographically around the world and in every aspect of culture and society. I define flourishing as the ability of an initiative, project or program to create a way to fund itself, after an initial investment, and the ability of the organization to develop its own leaders and succession plan and to evolve while keeping to its core mission and values. Father leveraged U.S. and European manpower and Japaneese money to launch numerous initiatives, geographically and socially. Some were very successful, like the investment in the Philippines and to a somewhat lesser extent, Russia. My early years in Montana, Wyoming, Colorado, and Southern California saw great success in witnessing and even development of successful small business ventures. The manpower from these were invested in larger initiatives; MFT to make money and personnel for many initiatives, including IOWCs, foreign missions, UTS, AFC, UB, and all the media investments in Washington, DC, to name a few. Once enough of our people were “invested” elsewhere, the witnessing and ability to flourish evaporated. In Southern California, we sent 10 people per month and money to fund and man many programs. Once we lost a critical mass of people and leadership, we remained stagnant. Witnessing stopped in those locations, and in Oakland for the most part. The governance of Nixon, Ford and Carter had little to do with this. Perhaps the government overlay had bigger impacts on the success of these other intiatives, but I tend to think that the ability of the program leaders to craft a financially viable program and their ability to train others are more relevant. I am sure others can add their own insights to why some initiatives flourished or did not. I think Father underestimated the size and challenge of the tasks involved, trusted us a lot more than perhaps he should have (but all he had was us), and the over-reliance on money from Japan all contributed a lot more than who was President at any given period of time. Still, our brothers and sisters have accomplished many things, including raising some pretty incredible kids. And yes, civic involvement is always relevant. What Rob Sayre describes was also the pattern in Minnesota. In 1974, we were holding workshops every night and weekend and bringing in about a dozen new members a month and sending quite a bit of money and new members to national HQ. Then everyone was asked to pack up and work on the campaigns in New York, Washington, or join the MFT. The local church infrastructure collapsed. The growth was under Nixon and the collapse under Ford, both Republican. The flourishing of the local church had nothing to do with politics and everything to do with centralization of the membership for national campaigns. A very nice analysis indeed, but from an evidence-based perspective, it gives the appearance of being statistical opaqueness which usually has misleading outcomes. While the facts are true, there is no evidence that one event causes the other or any relation to the events for that matter. Christopher McKeon wrote, “nice overview,” and I agree that it is an overview. The question is, will unity ever come with this perspective? Rev. Moon has been calling for unity for 40+ years. Positive and devastating providential events for the Unification movement can be identified in both administrations. What we need is great American leadership that accepts Divine Principle and converts — a Constantine-type but better. Not having to destroy enemies to establish a Cheon Il Guk environment, instead a voluntary submission to the ideals of True Parents. Unificationism promotes Headwing Thought which facilitates greater ideals than either parties have and still can uphold American traditions that are God-centered. I think the task for the Unification movement is to have the commitment to reach out and engage every American President, left or right, for the sake of the nation and for improving the providential stance of the USA. Otherwise America will remain a pendulum society swinging from one administration to the next with increasing disillusionment of the people. The Unification movement tends not to engage Democratic presidents and overestimates Republican presidents. I hope we can effectively reach out and engage President Trump. You are correct, Denneze, to address the issue of civic engagement. The Unification movement needs to fulfill Tribal Messiah/Home Church outreach to engage leaders on every level: town and community officials/leaders, education officials, church leaders, county officials, state senators and congresspeople, national leaders as well as an incumbent Presidential administration. Transforming values and culture requires all to make a difference in the community at large, rather than maintaining an insular denomination or sect. Even in our small towns, there are many issues affecting our values, our lives and the future of America. In my town, we recently had a town meeting about whether to close the nearby nuclear plant without an alternative energy source….35% lower tax revenue would result for schools that would lower the quality of education, as well as depreciated home values and an economic downspiral. The governor did not ask for any input from any town official, county officials or citizens in the entire Hudson Valley area. In our state, we had to address the issue of late term abortion bills, transgender bathroom bills and religious freedom violations. We have an increasing lack of free speech on our college campuses and suppression of Christian businesses. The lack of dialogue from the state governor who has circumvented officials with no communication about major policy proposals and changes is not acceptable. We, the people, can contribute on all these levels of our society and build relationships with others for the purpose of creating a better future for our children and families. 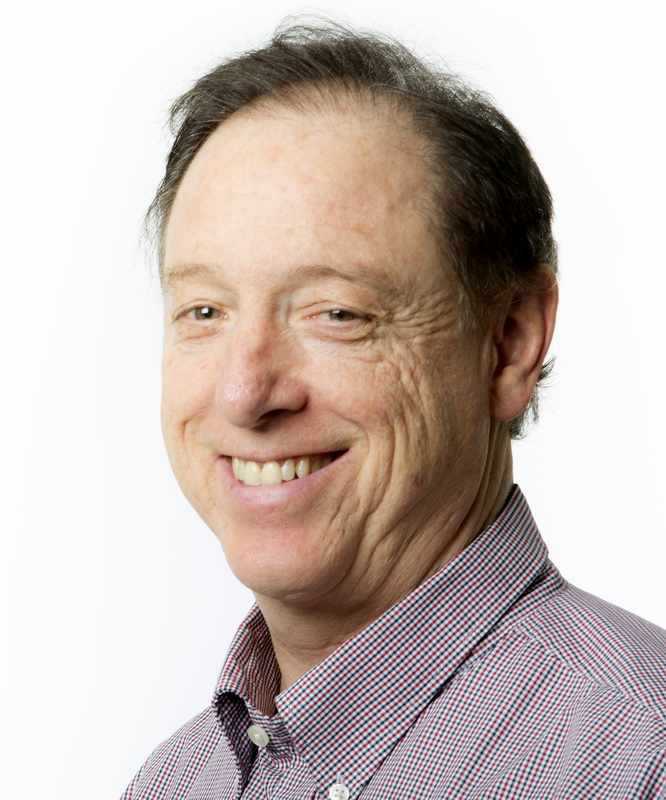 Thank you, Dr. Mickler, for your analysis. Time will tell if the Unification movement will flourish under the Trump administration. The president has a great responsibility on his shoulders and so do we. This election was followed all over the world. It was an epic battle. As you mentioned, religious people overwhelmingly supported him. There was a perception out there that the country was going in the wrong direction. People voted for change. I just want to point out that the Washington Times did a remarkable job. It stood up against the mainstream media by simply reporting the facts and expressing opinions based on conservative values of family and faith. Rev. Moon created the newspaper to offer an alternative to the secular mindset. On the basis of such balance, people can make up their own mind and democracy can work. I think that its creation is one of the most important legacies of Rev. Moon’s ministry in America. Our movement sacrificed greatly to support it over the years but we can now appreciate its significance. The whole world is touched by the earthquake that occurred in the political landscape. Therefore, I would argue that our movement has a greater influence in public life than we think we do. May it continue to grow and prosper as a result. In my view, the form of government that would be conducive to a flourishing of headwing-Unification ideology would resemble a parliamentary or constitutional democracy. The national ideology might be referenced as heavenly parentism with reserve powers endowed to a supreme council of Elders. The Elders are parents to the nation. The political government would be comprised of five separate bodies — executive assembly, judicial function, general-legislative, media-public affairs, and commonwealth treasury. It is a mixed socialistic democracy that stands upon scientific principles, the virtues of interdependence, mutual prosperity, universal civic duties, and heavenly law. To the unaided eye this form of governance is a marriage of the British and American styles of political leadership. 1. Flourishing. I agree with Robert Yee it is a vague term. Rob Sayre defined it organizationally, i.e., the capacity of an initiative to be self-supporting and have continuity over time. However, flourishing has external as well as internal components. Groups that flourish influence their surroundings. 2. The correlation between the UM and federal administrations. Three interrelated factors have driven UM development in the U.S. — conditions of American national life, UM organizational initiatives, and unifying/energizing leadership. Of the three, leadership is the most important, organizational initiatives are the next important, and the environment is the least important. Great movements, like great businesses, can thrive under widely-differing socio-economic and political environments. However, it is silly to contend that the vast pool of spiritual seekers in the 1970s or the coming into prominence of the Religious Right during the 1980s were irrelevant to UM development. 3. Headwing. I agree with Denneze Nelson that the task of the UM is to reach out and engage every American president, left or right. One of the reasons the UM flourished during the 1970s was not only because traditional values such as patriotism, hard work, individual responsibility, diligence, monogamous relationships, the sanctity of the family, and opposition to promiscuity and drugs were in much greater favor but also because the UM connected these with countercultural values from the 1960s such as Eastern philosophy, communal lifestyles, an emphasis on self-actualization, and rejection of materialism (Shupe and Bromley, Moonies in America, 1979, p. 94). The UM, to its detriment, has been deficient in its application of headwing ideology, standing aloof from Democrats and, as Denneze notes, overestimating Republicans. I would contend that during the formative period and intermediate years (1954-95) of the UM, headwing thought could not practically develop while absolute monarchy was the UM’s relevant form of organizational governance. Institutional divine right was our political theory in practice. Headwing or Unification Thought had not yet articulated a developed theory of inalienable rights, freedoms, moral responsibilities, civic duties, environmental protections, and scientifically regulated economy. Headwing also had not formulated a social, economic and political theory that could stand in contrast to either the central command theories of communism or the socially laissez-faire, market capitalism of the West. The flourishing of Unification parentism, with its distinctive Eastern flavor had not developed sufficiently to the level where it could face off with the status quo of British and German worldviews — worldviews that dominate American sensibilities and philosophy. And to our detriment, it is exceedingly difficult to make inroads that can influence these Anglo-Germanic cultural habits. Attempts (whether passive or aggressive) to combine theology with politics have inevitably and always failed. Theism is a fallacy. Atheism, of course, also. Our best hope is that attempts to quash our continuing debate will themselves continue to be “quashed,” or at the very least, elude us. I’m stating the obvious, but without money, people or the ability for continuity, to remain relevant, the capacity to influence our environment is pretty much nil. If I had to pick one, I would choose people. They make money and can craft a future. Thanks for defining flourishing for us, Rob; maybe as a movement we need to redefine what flourishing would mean exactly during this time period. After a long wilderness period, it feels like the UC movement is starting over at Ground Zero. Older members, friends, and leaders are long gone — some to spirit world, but many blessed couples (and 2nd Gen) have become disaffected and disconnected because they could not have their needs met through a church that seemed more army than ministry. Then there is the financial foundation that was plundered by one son, and — perhaps worse — the spiritual plunder by another son. Our core sacraments and values are being called into close scrutiny and are being severely tested. After all what does the blessing mean if one son is claiming that he only has the authority to bestow a sacrament that supposedly cleanses one’s blood lineage — either in reality or symbolically? A mockery, on one hand, threatens to negate the real meaning of the blessing on the other hand. I think the only real accomplishments of all these U.S. administrations was to unwittingly protect us from being destroyed from without: by the U.S. government, the IRS, deprogrammers, and so forth. None of them, however, could have protected us from the inner implosion of our church that we are sadly witnessing today. I suggest that if we want to “flourish” once again we stop acting like a cult spouting buzzwords (and find clarity related to concepts such as Original Sin. Thanks to Dr. Hendricks and Rev. Famularo for clarification of “Only Begotten Daughter”). Likewise, we need to stop trying to meet unrealistic goals that pressure members to act conditionally towards others in order to “get a head count.” Like others have suggested in this post, we must begin to serve our community at-large in and out of the church, put our faith into action and political ire into headwing bridge-building. If we are just another conservative group, Christian church, or political platform — what’s the point of any of this? I have always admired your writing skills and ability to articulate through the written word, something I sorely lack. My experiences have ranged from early MFT missions to business establishments. After the time spent in UTS, I approached Rev. Moon about letting us out of the failing organizations and the freedom to make it on our own. His response was hometown providence. There is a purity in being able to go home and face the demons of the past, restore failures and build a new foundation based on the very real aspects of the Divine Principle. Through personal investment in hometown politics and existing mainstream churches the tide has turned significantly. Being elected to the local school board was a major breakthrough. Being elected to the presidency of the foundation board of the oldest school of higher learning in Kansas would have been unthinkable in the 1980s. But as you pointed out so well, the doors were opened in the Clinton years to allow someone of my background to be accepted in such a position. The secular and religious worlds were much more tolerant in the Bush years as well. The largest factor in making the transition from being tolerated to being embraced came from the awareness that the UM was reverting to the image of a cult. The UC movement seems unable to break free from the concepts of followers to the concept of leaders. Hometowners are held to the outside while UM insiders are expected to adhere to the concepts of following the leaders. I anticipate that many in the UM will go it on their own, not only financially but spiritually. They will break new grounds and make new connections politically and financially. The development and perpetuity of the church organization, however, is a much more daunting task. Race and nationality play a major role. As Rob Sayre pointed out, this task is much more challenging. The next generation of UM leaders is faced with the failures of past leaders while seeking to become mainstream and increasing membership. Developing an organization that people want to join and that present members want to continue to affiliate with may require fresh ideas. The government could very well play a large part in that development. Under a Trump administration, the UM as it now exists could very well flourish. Allowing freedom to travel and spread the word were essential to the growth of the UM in the ’70s. That freedom will be necessary to sustain and grow the UM in the next four years. Clarifying what the UM brings to the table religiously, politically and economically could very well make the difference. This is a very interesting and well-written article. However, I suggest it would be more useful if a distinction was made between the cold war period and the post-cold war period. A good dividing line is the 1988-1992 presidency of George H.W. Bush, during which time Father began proclaiming that the ideology of the Unification movement is not right-wing or left-wing, but Headwing. Prior to 1988, a large part of the focus of our movement was dealing with God’s number one headache, atheistic communism. In general, the Republican Party was stronger and clearer on this issue than the Democratic Party, and therefore during the period prior to 1993 our movement did better under Republican presidents than Democratic presidents. The most dramatic example of this was the transition from Democratic President Carter to Republican President Reagan. As you mention, the Unification movement was on the defensive during the Carter years, with kidnappings, investigations, legal battles, and the beginnings of Father’s court case. But we flourished under President Reagan, who greatly appreciated our strong stand against communism and our support of his policies through the Washington Times. But in 1988 Father proclaimed Headwing ideology. Before the Seoul Olympics, Father even said that it was time to love and embrace the communists who had been our enemy, anticipating the eminent collapse of their ideology. The Berlin Wall was opened and then destroyed in November 1989. True Parents had a private meeting with Soviet President Gorbachev in April 1990. On December 6, 1991, 50 years after the Japanese attack on Pearl Harbor, True Parents met with and embraced North Korean dictator Kim Il Sung. Their meeting took place in Hungnam, near the prison where Father had almost died 41 years earlier. Three weeks after this meeting, on December 26, 1991, the USSR was dissolved. These were dramatic events, and they were part of a dramatic shift in Father’s focus which I believe is not fully appreciated by our members. After this time, Father’s number one goal was no longer the end of communism, but instead the reconciliation and unification of all peoples who had formerly been divided. Father launched numerous initiatives promoting world peace, including WFWP, UPF, Middle East Peace Initiative, and his own autobiography, As a Peace-Loving Global Citizen. Father’s most cherished goal was the reunification of Korea, which sadly has still not been accomplished. 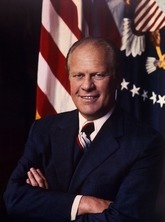 During this time Father worked closely with both liberals and conservatives. Father’s last major speaking tour in the U.S., the “We Will Stand” tour in 2001, was supported most strongly by black ministers who appreciated Father’s strong emphasis on family values and also his strong stand against racism and injustice. Father recognized that both conservatives and liberals are part of Cheon Il Guk. Conservatives emphasize initiative, self-reliance, and righteousness, traditionally more masculine virtues. Liberals emphasize the traditionally feminine values of compassion and inclusion, especially for those without the power to protect themselves: the poor, minorities, and the environment. A balance between both of these sets of virtues is essential. Based on this understanding, it is not surprising to me that the Unification Movement has had about the same level of success under both Republican and Democratic presidents since the 1988-1992 period. Father criticized the excesses of both President Clinton and President George W. Bush. 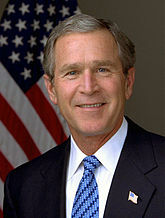 He was especially critical of President Bush’s invasion of Iraq, warning him not to start a religious war. Father pushed the Clintons and the Bushes to unite, even saying that their children should marry each other! And I would argue that the divisions in the Unification movement that began in the Obama years had nothing at all to do with President Obama, and instead are results of our failure to fully internalize Father’s call for Headwing, reconciliation and unification beginning 20 years earlier. We are meant to be the ones who can help Republicans and Democrats unite, recognizing and appreciating each other’s strengths. We have done the opposite; dividing ourselves into competing factions and losing our moral authority as peacemakers and reconcilers. As the political parties have become more and more divided, there is a great opportunity for us to practice Unification, seeking to find and build upon common values rather than just promoting one side or the other. We can do this!